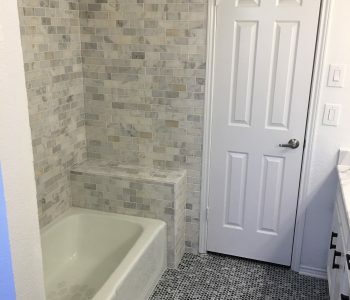 Upgrading your bathroom is one of the quickest ways to add value to your home and bring convenience to your everyday life. 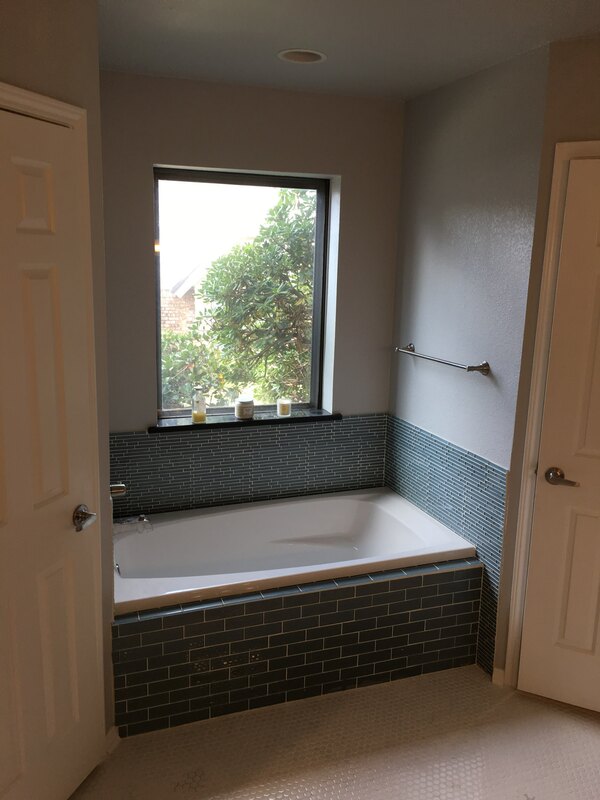 If you’re interested in a bathroom remodeling in Fort Worth, TX, contact New Creation Construction to help you plan and execute it. 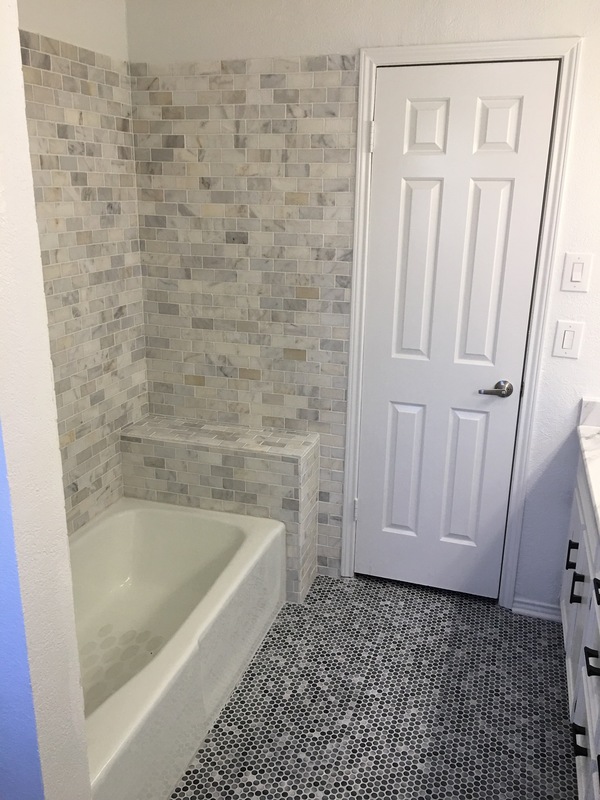 We’re focused on bringing luxury and comfort to this space and can remodel your bathroom from top to bottom to ensure results! Thinking about a beautiful tile shower with frameless glass doors? Want a whirlpool tub? Whatever amenities are present in your dream bathroom, rest assured we’ll make them a reality in your renovation! 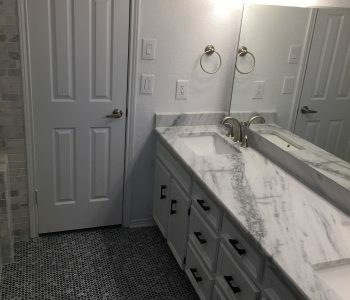 From under-sink cabinets to floor-to-ceiling storage, no bathroom renovation in Fort Worth, TX is complete without new cabinets. We’ll proportion the right cabinetry for your space and make sure it fits the overall design aesthetic of your bathroom. Whether you choose affordable laminate, luxurious vinyl plank, or resilient tile in Fort Worth, TX we’ll ensure it’s installed right. 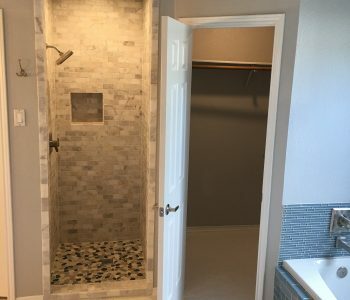 We’re happy to advise on the right bathroom materials and will incorporate your color and style choices into the overall design of the remodel. Let us install stone or manufactured countertops in your bathroom, to really bring the space to life! 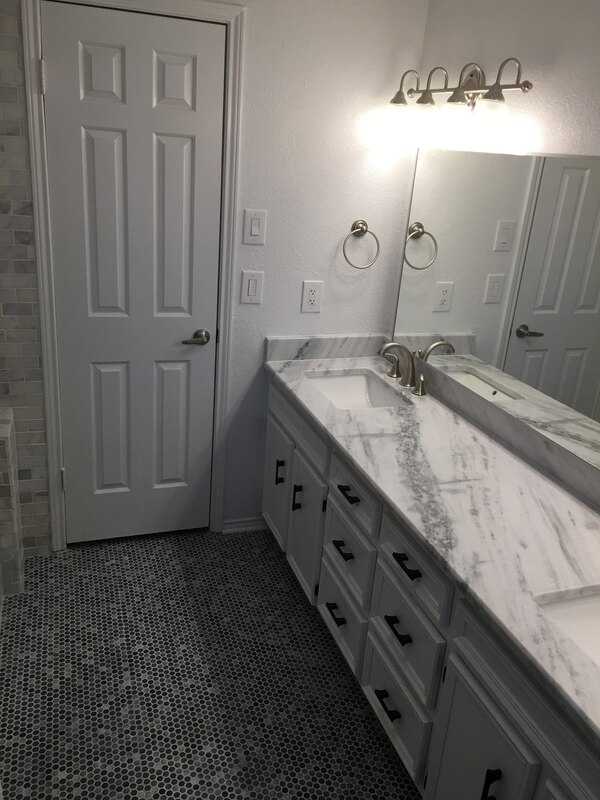 Whether you need spacious countertops with Jack-and-Jill sinks or just a small countertop in your modular bathroom, we’ll make it work. The right lighting and quality fixtures go a long way towards finishing a bathroom. We work with you to select quality options that are perfectly installed, to put the finishing touches on your perfect space. 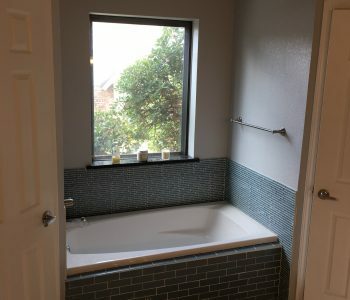 Not ready for complete bathroom remodeling in Fortworth, TX? We’re happy to fix up the little things that may be causing you grief! If your toilet keeps running, your sink handle is broken, your countertop is damaged, or you need a new cabinet installed, give us a call. We aim to help you make the most of your bathroom however we can. Before you start your bathroom remodel, take a moment to plan and consult with New Creation Construction. We’ll work with you every step of the way to design and renovate your space to meet your highest expectations. 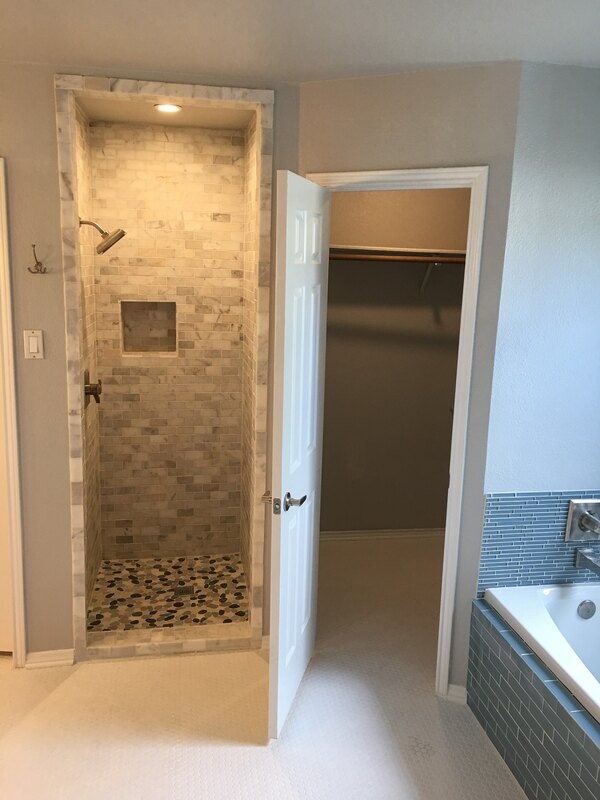 To transform your bathroom with luxury and comfort, contact us today at 817-343-3392.